Thanks to a very generous donation by Wade Peterson, the Archeological Media Lab is now the proud owner of a Compaq Portable III “laptop” from, I believe, 1987 – a year which was heralded “the year of the laptop.” This early version of a portable computer weighs in at a mere 20 pounds and, as Wade rightly notes in an email to me, it is also remarkable for its orange gas-plasma screen pictured below. 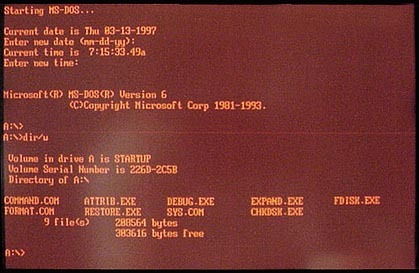 The computer uses DOS and, with a built-in 20 megabyte hard-drive, no floppy disks are required to run it. 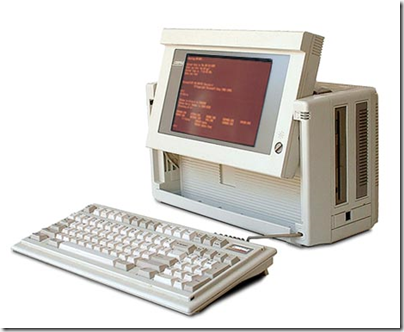 In 1988, it sold for nearly $5000.